Hot off the heels of their album preorder announcement earlier this week, Maroon 5 have just launched two new contests for their fans. The band's MySpace karaoke contest lets fans submit their own rendition of "Misery" and even sing along with Adam Levine. 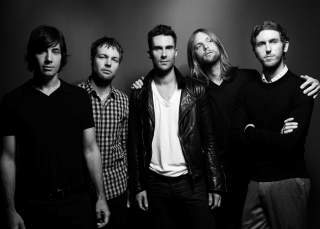 The best entry will get the VIP treatment backstage at one of Maroon 5's upcoming shows this fall. Additionally, there is a tweet-to-win promotion for a limited edition Hands All Over 3D box set as well as a new iPad loaded with exclusive Maroon 5 content. Hands All Over is available for preorder on iTunes and Maroon5.com now.